Experience a Model perfect, beautiful golf front home. (1st green of Magnolia) This 3 br. 2 ba. home has been totally renovated. 2 Car garage with separate Golf Cart access. Neutral colors throughout. Very open floor plan with sky-lights that bring wonderful natural light into the home. 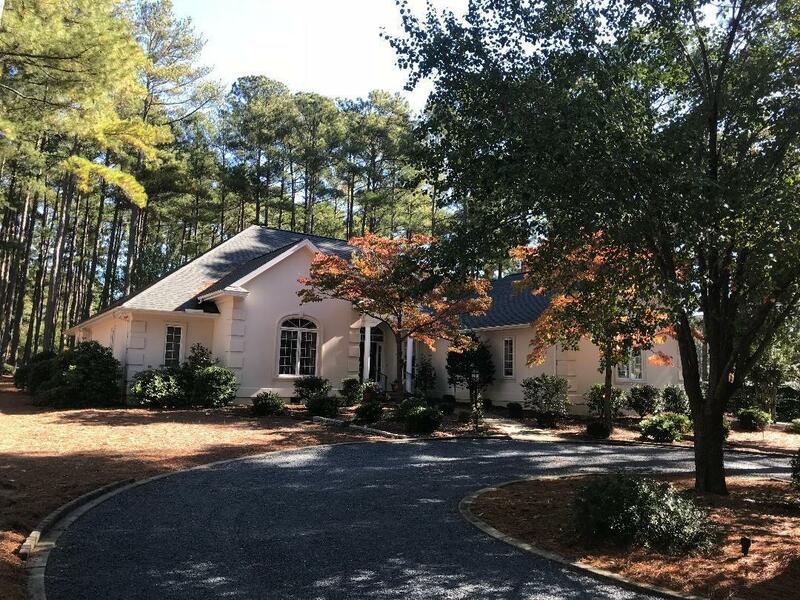 All Ceilings professionally updated (2018) Marvelous Carolina Room addition with upgraded kitchen, new master bath with large shower, beautiful bathtub, cultured marble double sink, new ventless fireplace, new floors (floating cork floors in kitchen & Carolina room.) Large master bedroom w/walk-in closet. Cozy office with beautiful built-in shelves, recessed lighting, in front of home.